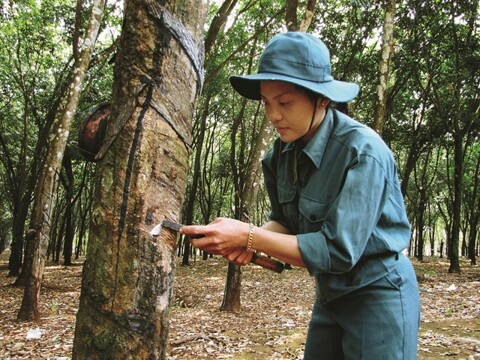 Low rubber price big challenge for the enterprises who manufactures natural rubber products. So, besides improving production effectively, the enterprises have to find new fields which have close relation with the main field in order to improve turnover and profit. Đồng Phú Rubber JSC is the typical one in making stratagem to escape from being bogged by new direction. This company invested modern production line with high capacity which can manufacture about 300 mattresses and 600 pillows/day through subsidiary DORUFOAM Company. This business field is expected to bring satisfactory profit in this year. In addition to matresses and pillows, Đồng Phú Company makes plan to invest factory with the capital of 80 billion VND to manufacture medical gloves and agricultural gloves. At the present, the Company is still negotitating with the partners. The factory is expected to start operations at the end of the year 2016. In this project, the profit rate is estimated about 15-20%. 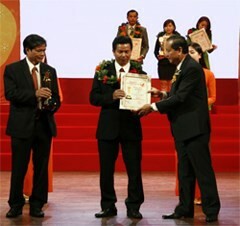 In general, Đồng Phú JSC try to focus on manufacturing high value-added products. It is complete difference from latex apreliminary treatment as before. Now, our Company gets some satisfactory outcome from this change. In 2014, turnover from mattresses and pillows has grown 20%. 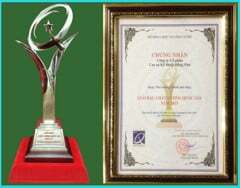 It helps our Company change from loss into light profit of some hundred million VND. 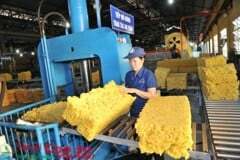 In 2015, according to estimation of Maybank KimEng – a Stock Company, field of rubber mattresses and pillows will operate nearly 50% of productivity with estimated profit is about 2-3 billion VND for Đồng Phú JSC. In the next few years, turnover and profit will improve more and more when production capacity and consumed quanlity of the new products increases. “Although the profit is still at a modest level in a short term, changing from loss to light profit will reduce burden for the parent Company in the final financial report, as well as consume a part of output from the parent Company. In the next 5 years, it is estimated that CAGR growth rate of mattresses and pillows will be about 15%”, Mr. Trương Quang Bình – Deputy Manager of Individual Analysis Section, Maybank KimEng, said to NCĐT. Business result of the first half of the year of Đồng Phú JSC has showed some hopeful signals of profit although there are still many challenges. Turnover of rubber latex of the first 6 months of the year 2015 is 188,3 billion VND, decreased 36,1% compared with the same period. This made profit of rubber production and sale drop down 73%, remain 14 billion VND. However, thanks to increase of turnover from rubber tree liquidation and from other business, profit after tax is 89 billion VND, improved more than the one of the same period last year which was 74 billion VND. It’s not easy to play the game. In general, strategy of expanding business field in vertical of Đồng Phú JSC is reasonable, so that it can increase turnover and improve profit. But, there are still risks, because our company is still a new player and have to compete with many big competitors who have large distribution system on the market of mattresses and pillows. It’s estimated that the growth rate of blanket – bed sheet – pillow – mattress field in Vietnam in the term 2010-2015 is about 15-20%. Go with recovery of economy, expenditure will increase and middle class will grow, too. For this reason, market of blanket – bed sheet – pillow – mattress will maintain two-digit growth rate in the term 2015-2020, Maybank KingEng assessed. Besides, this field expected from growth speed of tourism based on fast development and expansion of hotel and resort system in Vietnam recently. Market of blanket – bed sheet – pillow – mattress becomes more and more competitive. There are many big brand names in this field such as Kymdan, Vạn Thành, LienA and other alternative productsy such as padded cotton mattresses of Everpia, Edena, Sông Hồng. 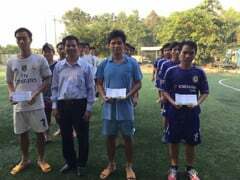 So, there will be many difficulties for Đồng Phú JSC in this market. Of course, our Company has trump card for DORUFOAM’s business strategy. Our advantage is available input material based on rubber platation of parent Company. At the present, Ðồng Phú has been collecting rubber latex from over 7.200 ha of 9.200 ha in total area. Until now, average productivity of latex tapping is 2,2 tons/ha. Compare with Everpia which is a leading enterprise of this field but depend on input material from foreign countries such as Korea, China, Indonesia, Đồng Phú JSC has advantage of input cost. “DORUFOAM inherits available input material which is stable and has high quality with preferential price. Besides, DORUFOAM get financial support from parent Company”, Mr. Bình, Maybank KimEng, said. According to this analysis expert, profit before tax of other prestigious brand names in the same field is about 20%. 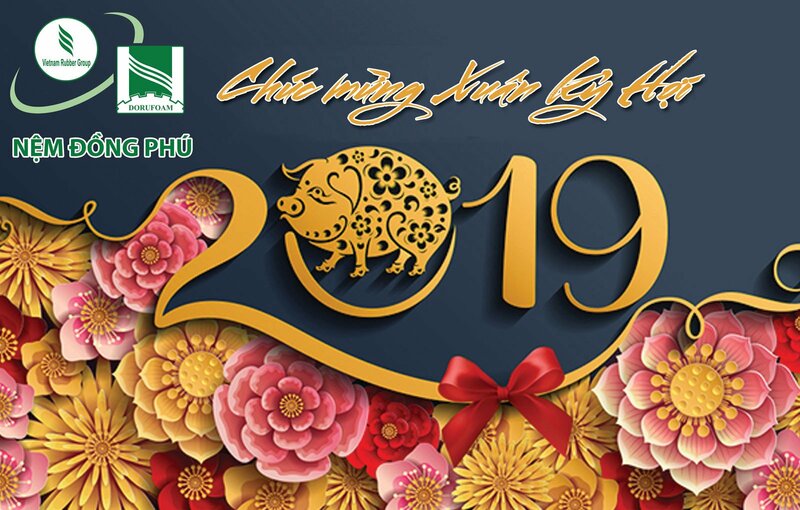 So, although the number 15% of Đồng Phú is lower, it’s reasonable because our Company is still in the period of building up brand name and developing market with the lower price than competitors’. About distribution channels, while other competitors have their own distribution system, DORUFOAM mainly replies on retailers and independent distributors. According to the lastest figures, until now, DORUFOAM has 6 branches nationwide, combine with 10 distributors who are experienced on mattress business and has 230 dealers in 40 provinces and cities all the nation. 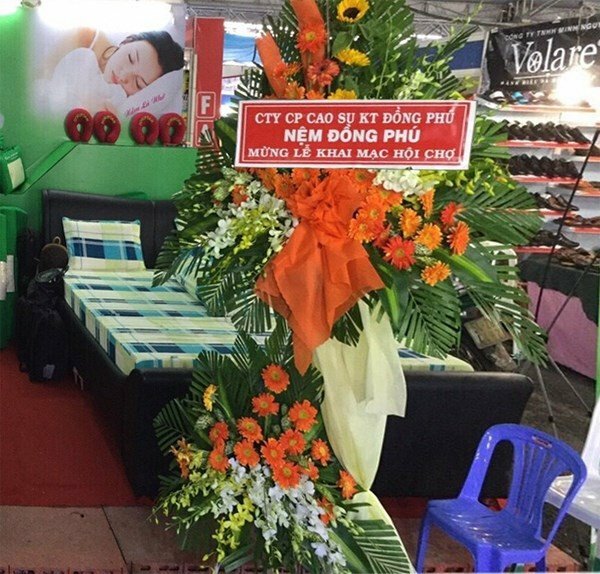 Compare with competitors, distribution system of mattress of Đồng Phú is still small. In addition, it’s suitable to depend on distributors in the first stage only. In the long term, in order to save sale cost, Đồng Phú have to build up its own distribution system. It will be a big challenge for Đồng Phú focusing on wholesale only until now. 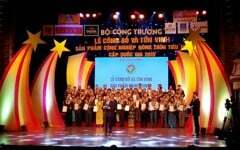 Another challenge for Đồng Phú is competition with foreign products. 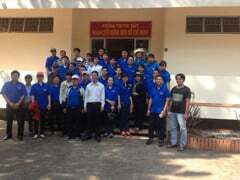 Vietnam is intergrating with the world. It’s a big opportunity for Vietnamese enterprises to expand market and operation abroad. However, there will be more foreign competitors because tariff barriers and business protection regulation is loosen and abolished.